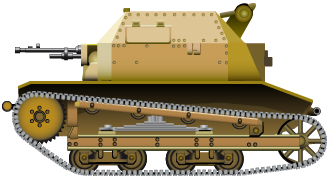 Makes your own tank illustration. Prerequisites, needed elements, and the tutorial, from the very first element to exportation of the right format for the right use, and more… Start with the photoshop tutorial ! Why illustrator© ? Because its vectorial technology allows a great versatility and flexibility at any scales. Whether you wish to print, or use them on internet, or showing a single detail, vectorial graphics are always perfectly clean on any scale. Vectorial elements could also be duplicated at will, filtered, associated with lightweight effects and assembled in every way. 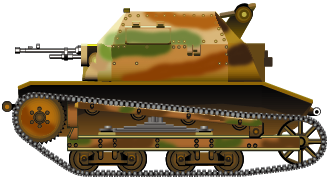 Make a single model of tank, then add/remove elements and change camouflage patterns, marks, ect. simply by masking a layer. You can make tons of variants as easily and quickly as to say it. Why photoshop© ? – You can do even more effects, although pixel pictures are not just as flexible : To print a model, better to have made it first on 300 dpi resolution before. For all other formats, makes some copies. However layer and group of layer can be use efficiently to show/mask any elements or a combination of them, greatly enhance your capacity to create variants. And what about good old fashioned pencils ? : Well, it’s another feeling, but with real painting you just can’t make tons of variants so easily, as each of these are to be made entirely from scratch, and oops, no “ctrl+z” there. No spare parts, no quick color changes or layers, just old school pride of skills and time-consuming hard wor, but hey, this is real. Your computer just has been attacked by a virus horde ? Your illustrations are at least safe. The goal of the vectorial tutorial is not to show how to use illustrator©, but how to deal at best with some basic utilities on illustrator in order to achieve you goals in this specific matter. 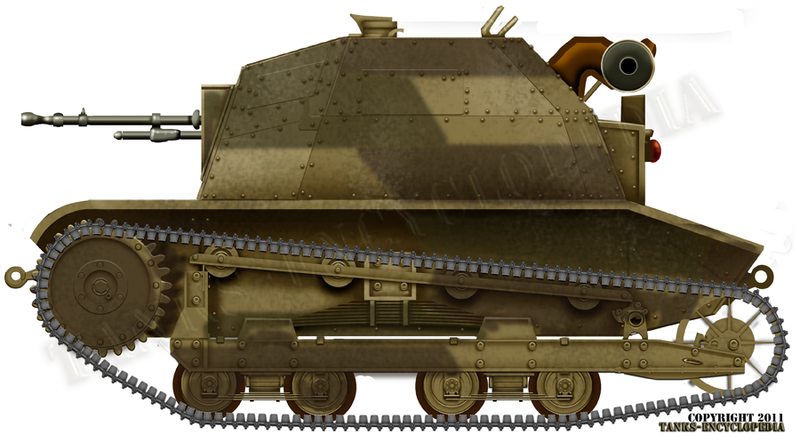 To have a better approach of the way to built a full-scale, rivet-detailed tank illustration, you can download the original model of a polish TK tankette (compatible with all ai. versions since mx). Making an illustration with photoshop ? Well, if you have some skills, it can be less tricky, although more CPU-eater for complex models on high scale (say 300 dpi). 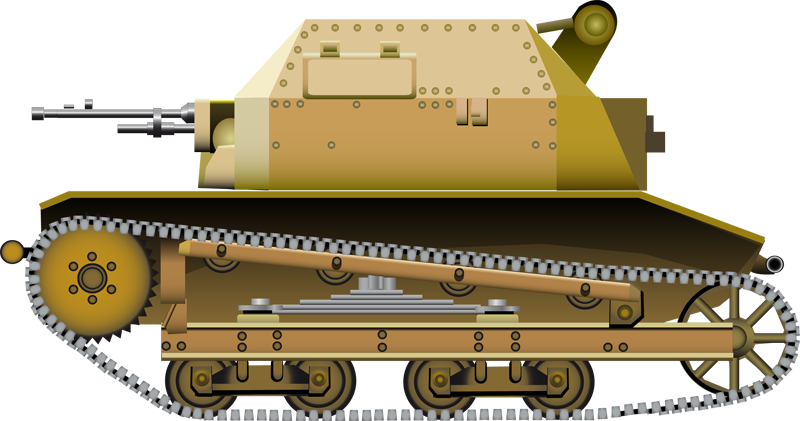 On illustrator you have to combine multiple layers in order to make convincing dirt, rust or scratched texture effect. On photoshop, this is a lot easier and more natural, more “paint-friendly”. But as said above, not as flexible. You are always working on a high scale, to make lighter copies. Well, in fact, almost all illustrations of this website are made like this. Although none of the 300 dpi illustrations are shown there, you just have to know that any of these babies weights around 60 to 120 mo and more, with an average 250 layers for each one… However despite the technology helps you, let’s face it now and clear: an illustration made from scratch could take an entire day… Depending of their complexity, an average photo-shopped ww1 armoured car should take less than two hours, if you have the right elements. Photoshop have another sets of crucial advantages: You can easily pick-up various elements found on internet, and combine or reuse them in some ways to add elements and makes convincing, photo-realistic details. Examples : Vegetation foliage on a camouflaged model, nets, jerrycans, chain links, shovels and pickaxes, or whatever, specific symbols. In this specific case, the only problem with a 300 dpi resolution is that you have often to remake entirely these symbols on a larger scale to avoid pixellisation effects due to the gap of resolution (on internet it’s 72 dpi). Love your tanks. What do you use as reference regarding blueprints? There are a lot of examples out there but which ones are accurate? typically the most accurate drawings are official design drawings or blueprints that have been found in Archives or museum collections, and our writers do make use of those when available. Many reputable published books also use archival drawings, but may also have them redrawn professionally to provide a better image quality considering that some of the originals can be almost 100 years old. We also make use of photographs for specific markings or for vehicles where drawings are not available, however this comes with some risks as it can be hard to achieve a sense of proper scale. 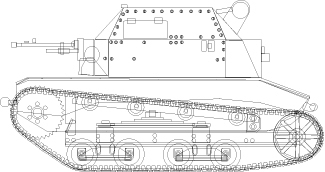 This is definitely one of the most credible sources i have found when researching tanks.